The famous French team that won the gold medal in Paris, 1924 Olympic Games. 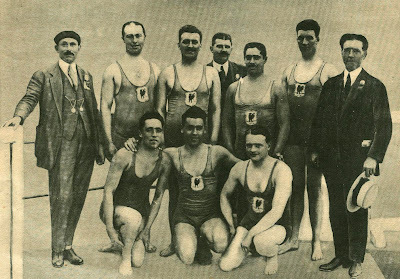 Standing L-R: E.G.Drigny, Dujardin (captain)Delberghe, L.Lauffray, Rigal, Padou, Paul Beulque. Front row: Mayand, Deborgies, Desmettre.